The next Camp Meeting is October 27 at the Village Inn, Castel Rock, staring at 1:00 PM. Prospective members are welcome! 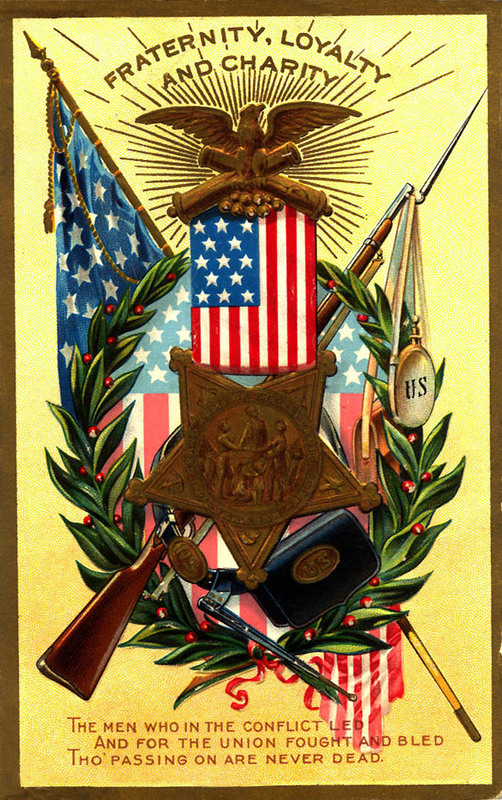 In 1881 the GAR formed the Sons of Veterans of the United States of America (SV) to carry on its traditions and memory long after the GAR had ceased to exist. Membership was open to any man who could prove ancestry to a member of the GAR or to a veteran eligible for membership in the GAR. In later years, men who did not have the ancestry to qualify for hereditary membership, but who demonstrated a genuine interest in the Civil War and could subscribe to the purpose and objectives of the SUVCW, were admitted as Associates. This practice continues today. Many GAR Posts sponsored Camps of the SV. In 1925 the SV name was changed to Sons of Union Veterans of the Civil War (SUVCW), under which its federal charter was issued in 1954. The SUVCW is legally recognized as the heir to, and representative of, the GAR. Today, the National Organization of the SUVCW, headed by an annually elected Commander-in-Chief, oversees the operation of 26 Departments, each consisting of one or more states, a Department-at-Large, a National Membership-at-Large, and over 200 community based Camps. More than 6,360 men enjoy the benefits of membership in the only male organization dedicated to the principles of the GAR -- Fraternity, Charity, and Loyalty. It publishes "The BANNER" quarterly for its members. The SUVCW National Headquarters is located in the National Civil War Museum in Harrisburg, Pennsylvania. The SUVCW is one of five Allied Orders of the GAR. The other four Orders are: Ladies of the Grand Army of the Republic, Woman's Relief Corps, Auxiliary to the Sons of Union Veterans of the Civil War and Daughters of Union Veterans of the Civil War.